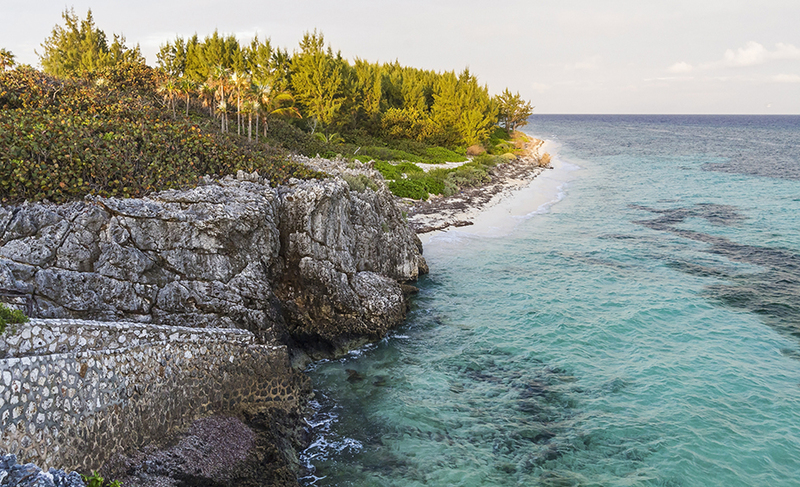 A week’s visit to the Cayman Islands is just not enough. Many people will come to Cayman on vacation, or even for a business trip, and find the warm fresh Caribbean breeze pairs all too well with the delicious Cayman culinary experiences and adventures to be had. The Caymankind culture is sure to captivate you and soon enough your one time visit turns into a tradition every year or even multiple times a year. To truly get the most out of your time in Cayman it is natural to consider investing in a piece of Cayman Islands Real Estate. Owning a piece of the Cayman Islands could mean so much more than just a Caymanite necklace or souvenir conch shell. Grand Cayman, Cayman Brac and Little Cayman are now your second home. Real Estate options in the Cayman Islands ranges from a single family home or condo, to multi-family income property as well as raw land. Each type of investment has its own benefits and unique return on investment. Owning a house in the Cayman Islands can provide security and savings for both a visitor and a resident. Visitors who own their own Cayman home will gain the experience of calling Cayman their second home as all of their usual luxuries are ready and waiting when they come to stay. Residents of the Cayman Islands have an investment for the future and, let us not forget the obvious, savings for owning your home rather than putting money into renting a place that will never truly be yours. Houses in the Cayman Islands are built to high standards with hurricane strength code requirements. Many of these homes have a natural, lush, tropical landscape. Unlike the United States, many houses in the Cayman Islands are built with a unique design and layout. Many homes are completed with high quality finishes such as granite counter tops, high ceilings and crown molding and offer excellent resale value in the future if maintained properly. Owning a house or apartment in Cayman gives you the option to turn this property into an income property. If you have seen HGTV’s show, Income Property, you already have an idea of the benefits to owning a home that is rented to short term and long term tenants. Consider an income property as another source of income while maintaining an asset that could benefit you in the future through capital appreciation. Maybe you don’t want to live in Cayman now but would like to retire here in 10 or 15 years. Buy a piece of property, rent it and use the income to cover the ongoing maintenance costs of the house. Purchasing land in the Cayman Islands also reaps long-term benefits as the value of land is continuously rising. Find where you want to live, the view you want to see and then when you are ready you can build the house of your dreams. There are no Government restrictions on foreign ownership and once the 7.5% stamp duty fee is paid on purchase of a property there are no property taxes. Condominium complexes do have restrictive agreements incorporated in their By-laws and these would be available for your inspection prior to purchase. Most condominium properties have onsite management who also administer a rental pool and there also are a few independent companies who provide such service. Mortgage financing is available from some local banks generally between 65% up to about 80% depending on the borrowers creditworthiness and strength of collateral being offered. A minimum of two years tax returns is usually required to verify income and employment information. Interest rates vary and are usually 1 to 3% above New York Prime. Whichever type of property you decide to invest in will be sure to give you a return on investment as the resale value for a luxurious Cayman house, apartment, or piece of land compares favorably to other Caribbean islands. As you look for your next home in Cayman consider the value of your local Cayman Real Estate Agent. It is my job as your realtor to find the home, or piece of land, that meets all of your needs.